Ms. Neagu is a noted expert on data applications and XML technologies. 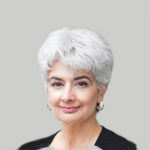 Adriana was co-inventor of Microsoft Office InfoPath, and co-holds 4 InfoPath patents. Looking for an InfoPath alternative? The options depend on how you’re using InfoPath, a multi-purpose product with no single replacement. We’ve been seeing a lot of discussions lately about the future of InfoPath, whether to continue using it and what alternatives exist to replace it. No one seems to know what the future holds for InfoPath, and this ambiguity itself seems to be the key factor driving the discourse. 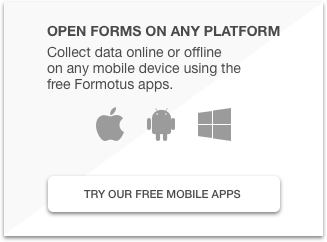 We at Formotus have no speculation of our own to contribute to that part of the discussion, but we do hope we can help shed light on the landscape of InfoPath alternatives. Simply put, InfoPath is a multi-purpose product that’s been put to use in a wide variety of ways, and no single alternative will ever replace it in all its roles. One example is SharePoint workflows. People using InfoPath forms in workflows will be well aware that SharePoint 2013 introduced a new workflow technology that is not InfoPath-compatible. Both kinds of workflow currently exist side by side, and it’s reasonable to anticipate that the new kind of workflow will eventually replace the old. But even if the new workflows do replace the old, they are not really replacing InfoPath. The new workflows are merely replacing one of many uses of InfoPath. InfoPath is a multi-purpose product that’s been put to use in a wide variety of ways, and no single alternative will ever replace it in all its roles. InfoPath is an integrated form design tool used to create visually elegant browser interfaces for SharePoint lists and workflows. Much of the discussion of InfoPath alternatives has revolved around the appearance in SharePoint 2013 of new Microsoft tools that seem poised to replace InfoPath in these roles. The new SharePoint 2013 workflows use ASP.net rather than InfoPath, and the new Access 2013 Web Apps provide an alternate way to create data-connected browser forms in SharePoint. InfoPath is also a paper-replacement technology used to design, edit and store data-centric documents. Companies use InfoPath to collect and validate data using forms that can be distributed in a variety of ways: in email, in a browser via Forms Server, or as native InfoPath Filler (XSN) files. The filled forms are then typically submitted and stored as XML document files in a SharePoint library, where they can be re-opened for editing. These XML documents retain their formatting and layout, including rich data such as embedded images. InfoPath is also a platform for citizen developers, often non-programmers, to create custom applications with sophisticated UI options, complex business logic, and multiple data connections to SharePoint and other data sources. The range of what can be accomplished without coding by using the views, rules, actions, and conditions in InfoPath Designer is formidable. These applications can even be extended by developers using custom code. 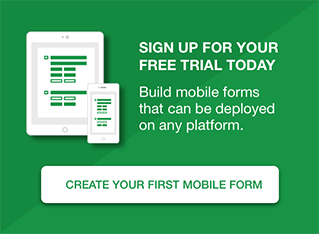 Such InfoPath forms might be used either as a SharePoint interface or for XML document generation, but either way, the focus is on the power of the forms themselves to perform like custom applications. In future posts, we’ll be exploring assorted technologies — both Microsoft and third-party products — that may be considered substitutes or alternatives to InfoPath in its most common uses. In some cases, the alternatives represent a clean break and a whole new path, while in other cases the alternatives are more like extensions to InfoPath or incremental moves away from it. If you have other ideas for InfoPath alternatives you’d like us to explore, please drop us a line and let us know.